Do you visualize roller-coasters or toy trains first when you think of an amusement park? Probably the former. These rides are usually the biggest attractions in such parks which create a certain perception about amusement parks. ‘Mutual funds’ too carry a similar perception that they invest only in stocks and hence are risky. 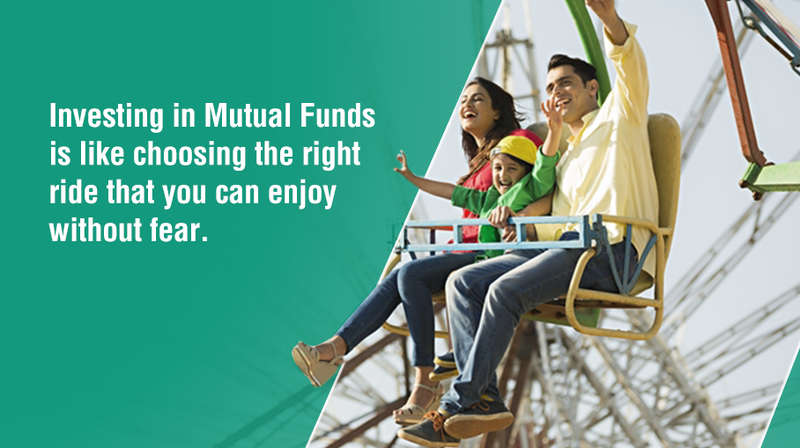 There are many types of Mutual Funds meant for the varying investment needs of people. Some investors want high returns which only stocks can deliver. Such investors can invest in Equity Mutual Funds which are among the best long-term investment options available for achieving such objectives. But these Mutual Funds have risk of higher volatility because of their exposure to stocks of various companies. There are other types of Mutual Funds that do not invest in equity but in bonds issued by banks, companies, government bodies and money market instruments (bank CDs, T-bills, Commercial Papers,) which have lower risk but also offer lower returns compared to equity funds. These funds are better suited as alternatives to traditional options like bank fixed deposits or PPFs. Hence if you are looking to invest your money that can give you better returns than a bank or post office FDs and still be more tax efficient, Debt Mutual Funds are a great way to achieve such financial goals. Do I need to understand stock, bond or money markets before I invest?